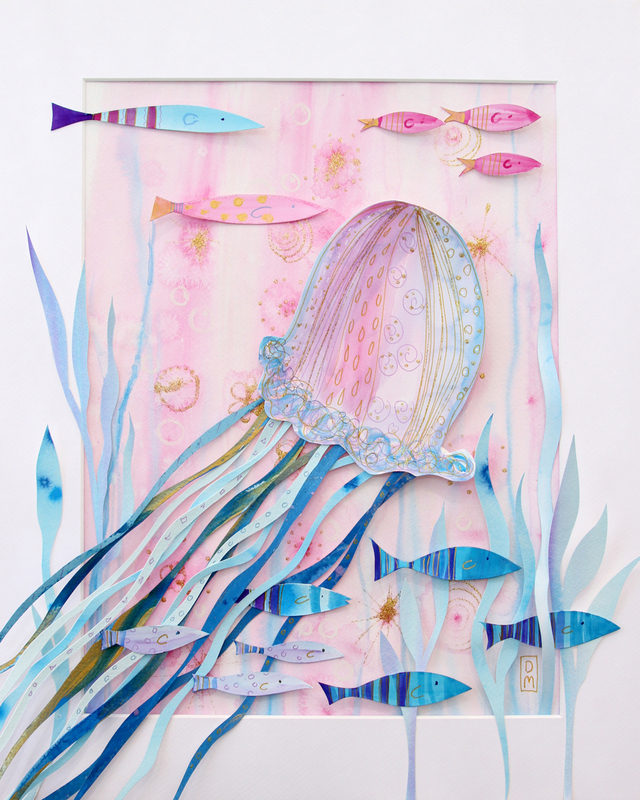 This mixed-media art consists of cut out sections of paper attached to the background with some parts raised up off of the watercolor surface. Shades of pink and blue are the main colors. Some iridescent gold touches are painted on the fish and background. Seaweeds come up from the ocean floor. I really enjoy this fun and different approach to painting!